The property development industry is often not well understood by those selling and buying property or those objecting to a development. Stewart Lawler provides an overview of the industry to assist community groups better understand the process and hopefully improve those interactions. The property development industry is populated by a wide range of persons and groups which operate as developers. At the two extremes are large public companies and very small developers – often one to three person groups which sometimes comprise a local real estate agent and a local builder. 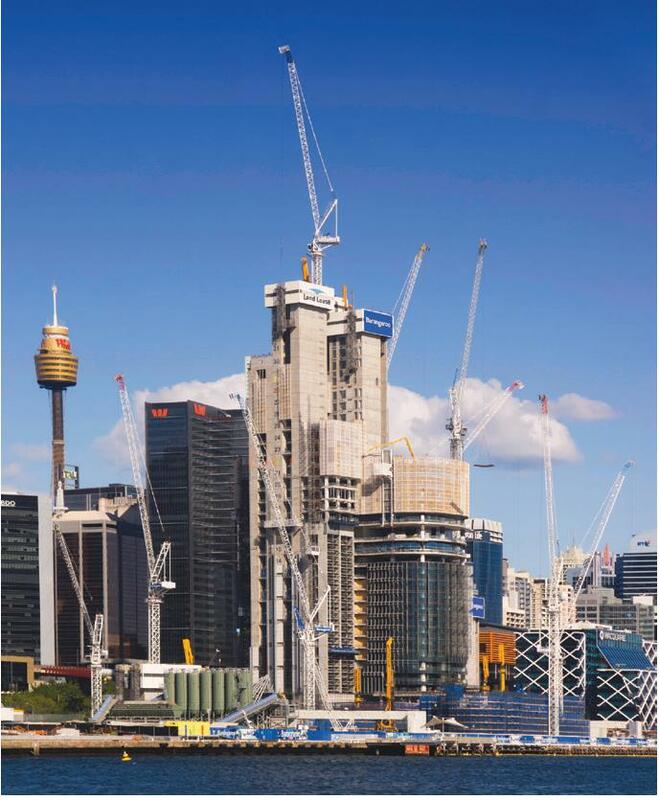 The large development corporations have specialist development managers and usually source developments at board level and from larger commercial real estate agents which provide information to such groups, normally prior to going to the open market with site details. These corporations may fund developments internally. Australian examples include Stockland and Lend Lease. The majority of developers are small and spend most of their days searching for suitable sites within a certain geographic area. Most utilise real estate contacts to find sites prior to listing and so have a solid grasp on any sites within their geographic area of influence. They often build small projects ranging from 1 -12 dwellings. They usually do not belong to peak industry property groups such as the Property Council. It is important for prospective developers to note, the large majority of development sites have been reviewed and assessed by other developers before being listed and advertised. Preferred developers will have had sufficient time to assess a site and suitable development options. Most start-up developers who do not have specialist local real estate information and input cannot prepare a detailed feasibility with sufficient information and detail to submit an offer without extra risk. Nevertheless, this is what occurs therefore the unconnected developers are often at a disadvantage when bidding for sites compared to experienced developers who may have been notified of a site at an earlier time. There are many factors affecting property development, however the largest risk is in trying to undertake a development project without sufficient knowledge of the property development process. For those not involved in property development it is easier to think of the process as similar to any chain-link process. If any link or part of the project is inefficient, or fails, the whole process will fall apart. For example paying above a reasonable value for the land will always jeopardise the end profit. It does not matter if a project is designed and built efficiently, an over value payment for a site will always affect the end viability. Where possible, developers will purchase land subject to an acceptable development approval. This reduces risk by reducing holding costs such as interest payments on loan funds, possible maintenance, council rates and other sale or property related charges until a development generates income. The whole property development process is based on efficiency in every stage. Should one phase run over budget it is highly likely to affect all the following stages. Many developers have been bankrupted when they believe you can build cheaper and quicker to offset an overpriced site bought in the hope that a development would become viable because of increases in selling prices during construction. Assumptions of escalating prices and better than average sales return at completion nearly always turn out to be incorrect. However in heated markets this is often seen and is exacerbated by inexperienced groups seeking to pay more for the land and then recouping the costs through higher sales. This is very apparent when prices start to fall. A significant number of developers specialise in just the first part of the process – the procurement of land and the gaining of approvals. They have no intention of commencing construction on a site – they simply on-sell a development site. The jargon term for these developers is “flippers” as they buy or ideally simultaneously exchange on a property by ‘flipping’ it on to a developer who is willing to construct and sell. The buyer is often a joint venture between small builders, who have sufficient funds to buy a site and a local real estate agent, who may also be able to fund part of a development and sell the end product. Local real estate agents may have knowledge of rezonings that the land owners do not. At such times land can be purchased cheaply providing developers with significant uplift gains prior to any further development. Such sales are the preference of “flippers” as the site value is enhanced both by sale value and possible higher density development opportunities. The larger costs of developing a high rise building can discourage the development of high rise buildings as it may be difficult for developers to access finance at an affordable rate. This is a particular issue if this is the first large high rise development in an area. Moreover, many small suburban developers do not have the expertise or experience to tackle these larger developments. Three main factors contribute to the increase in cost for high rise. Firstly the Building Code of Australia (BCA) has stricter requirements as the height increases, mainly due to fire services and controls. Secondly, building compliance and construction methodology requirements on high rise structures are more sophisticated and complicated. Builders capable of such work require more expensive equipment and higher skilled workers to undertake specialist trade work. Finally larger developments will need greater cash flow and financial capability to fund large works between payments. Work is only paid for by approved progress payments or once it is completed. Often developers will have their ‘foot’ on a site by the use of an option. This is where the vendor is paid a non-refundable sum to agree to the sale of the land at a fixed sale price at some time in the future, usually 6 to 12 months. This allows the vender to feel as though someone is improving the value of their land, at no cost to them, from which they will receive a sale price higher than the current value. Plus the developer will know the actual price to be paid and will calculate a percentage of any uplift to the vendor in return for not having to pay holding costs. This may only be a small amount when a developer can convince a vender the uplift is only minor, but higher if their expected sales price is much greater than current value. With educated vendors such an arrangement is most often reflected in the purchase price based on a price per approved building lot/unit. It is important to understand in Property Development every site and every building is different due to differing location, soil conditions, local planning constraints and design issues such as orientation, relationship to adjoining sites, building requirements and project constraints, options and aims. The sale realisation (i.e. the value of sales) is also different for each development and each part of a development due to differing location, views, design, desirability, access, parking, demand in a locale and the current condition of the local property market. Property development ranges from the refurbishment or extension of existing buildings or partial rebuilding, through to the construction of new buildings. There is no incentive to undertake a property development project if the product cannot be sold or does not return sufficient financial gains to reimburse costs and if possible, a profit margin. It is essential all developments achieve a minimum level of viability to ensure financial survival of the organisation undertaking a project. 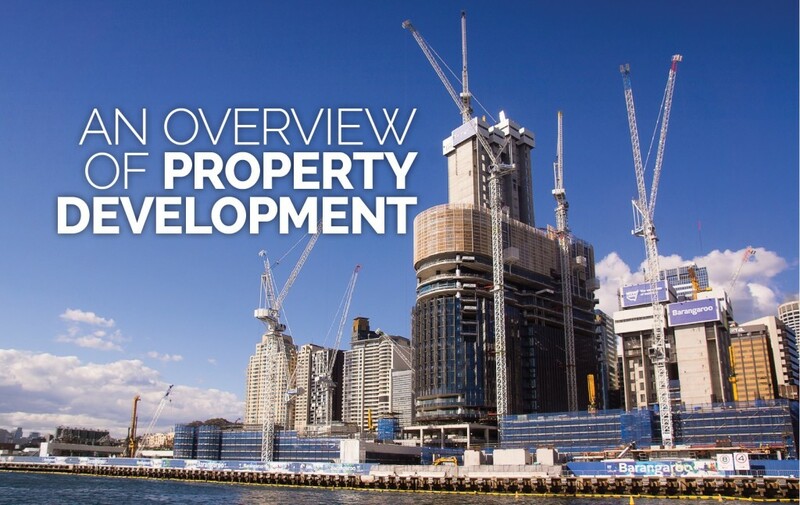 All development projects need to respond to a proven demand which illustrates the strong possibility of a sale or rental at predetermined rates on completion, to achieve profitability and in turn financial viability. Consequently a development must be capable of being sold at a profit, used by an owner or utilised to produce a rental income. Essentially a property development is a series of actions required to produce an end product which is not always static or determinable at the onset of the project. In other words all parts of the process are important. Each and every project is different even if certain parts such as design may be repeated. It is also important to realise every site must be responded to differently as no two sites are exactly alike. These are just a small portion of the issues affecting Property Development and all are made more complex by the intervention of the buyer’s choice and the financier’s opinion usually created by a Valuer based on comparable sales in the area. There is also the multitude of likes and dislikes and other personal issues buyers will utilise in selection of a property. The process of development means different things to many different people. Some consider development merely the construction of buildings others such as Guy & Henneberry who in 2002 described property development as: ‘A complex process which enables the orchestration of finance, labour and expertise by many actions within a wider social, economic and political environment. The physical building is the tip of an iceberg ’. Cadman and Byrne in 1984 viewed property development comprising three parts and envisioned each of these tasks as presenting a new set of risks. ‘The first part of the process comprises the acquisition of the land upon which the development is to take place and acquisition of the appropriate planning permission. The second part comprises the construction of the building or buildings and; the third part comprises their disposal both the occupation and investment’. They were also of the opinion that ‘only a very small proportion of individuals positively like the challenge of having to deal with risk and uncertainty on a day-to-day basis’. Paradoxically as the process progresses the developer’s knowledge of the likely outcome increases but, at the same time, the room to manoeuvre decreases. Thus, while at the start of the process developers have maximum uncertainty they also have maximum manoeuvrability. However by the end of a project the developer knows all the problems and issues which have emerged during the process but can do nothing to substantially change the end product, which is being manufactured on an essentially once and for all basis. The development process is especially susceptible to risk and uncertainty because, once started, it is relatively fixed in time and place and because it aims normally at a very narrow consumer market within an uncertain economic climate (this is largely because of the time gap between when the developer commits to a project and the receipt of all sales revenue). In simple terms the cost of the land, building and other associated costs and margin must be less than the sales income otherwise the only definitive measure of property development ­- monetary profit, is missing. The developer tries to quantify the three major parts of the process. The first part of the process is acquiring the land. Initial land acquisition contains many unknowns particularly regarding the physical characteristics of the site including constraints, any covenants on property titles that need to be resolved and possible latent conditions. Latent conditions are when the physical conditions of the site are materially different to the conditions which could reasonably have been expected by the contractor when the contract was executed. The risk associated with a latent condition usually rests with the developer and not the builder. As site purchase is the first major commitment to the development, a fully informed decision needs to be made which should include all stakeholders, project sponsors and all other persons who will hold long term responsibility for the outcome of the project. This is prior to any tested designing and costing. This is one of the main reasons developers want clarity with regard to what may be developed on the site. The second part of the process is the period of production where the main unknown is the final cost of construction. Construction cost represents the second major capital commitment and is largely determined during the design and planning phases. The timing of construction can vary significantly due to latent site conditions, approval timing or other unknown factors such as strikes, uncooperative or inexperienced builders or the weather. The third part of the process is disposal which may comprise outright sale, leasing or occupation by an end user. Again there are many factors which were estimated at the beginning of the process which may now vary considerably. These include the overall sale returns, the current market rental value, the yield or the value determined by the client/owner in originally assessing the development. Other factors which will often change include interest rates, loan rates and the overall economic environment which can affect the end result of the development in either an adverse or advantageous manner. 1. What determines the value of land? The value of a block of land is determined by the income stream the land can generate. For example one hectare of prime agricultural land is worth more than one hectare of land in an arid zone where only a few sheep can be grazed. Urban Planning therefore affects the value of land by determining the income stream that it can generate. 2. How much will a developer pay for a block of urban land? Many of these development lots are sold at auction. The developer will often utilise the residual method to estimate the land value. Firstly the likely sales income is calculated and then an allowance is taken out for their margin (usually 20-25%) and an estimate for all the development costs including construction are deducted. The residual sum left over is what they can afford to pay for the land. There are also costs for sales commission and Stamp Duty which need to be accounted for in a residual calculation. Here the Secret Equation is utilised but in reverse. In this setting it is difficult for a developer to make super-profits by being able to purchase the land at a reduced rate, since other developers present at the auction will have done the same calculation and will outbid the super-profit seeker. 3. When may a developer be able to make super-profits? A developer may be able to make an exceptional or super-profit if they are able to purchase land at one zoning and then have it rezoned. For example, if a developer is able to purchase farm land and have it rezoned urban, they will receive a very large uplift in their profits. This is one of the reasons there is such intense lobbying around some rezoning issues – there can be some very large windfall gains available to the land owner (vendor) or the developer. 4. Isn’t a 20-25% return for a developer a “super profit”? If this return was always received by the developer this might be the case but development is one of the riskiest forms of economic enterprises. Not only do developers experience unexpected events on projects that significantly reduce their return, many developers are forced out of business by negative returns. Additionally the development is usually over a minimum of 2 or 3 years which halves or thirds the return. 5. What happens if a developer is able to increase density on a residential site after purchase? What happens in this process is that the developer has not paid for the land component of the additional dwellings on the site. For example, in a high value inner city area because of planning changes after the developer had purchased the land, the developer was able to build fifteen dwellings instead of ten. If the land value of the first ten dwelling was $100,000 per dwelling (i.e. the land cost was $1million) the benefit to the developer of the additional dwellings is $500,000 (5 by $100,000). Or put another way the land is then worth $66,660 per site which equates to a benefit of 15 x $33,333 = $500,000 in the marketplace. 6. Will increasing residential density always increase value? Increasing density will decrease the land cost per dwelling but it also increases the construction costs. For example a 3 storey flat building usually has a construction cost of $1500 per sq. metre, where as a 4 -7 storey residential building rises to $2,400 per sq. metre and a multi storey residential tower is around $3,000 per sq. metre. In lower value land areas of Australian cities high rise development is not viable because the lower land costs do not offset the additional constructions costs. Additionally in many areas the finished cost of a new residential apartment is often higher than an existing separate dwelling in the same area. The cultural preference for separate dwellings makes it very difficult to sell the new apartments unless the apartments have some other benefits such as being located in a very high amenity precinct, excellent views, excellent access to transport etc. 7. Will infrastructure charges such as section 94 charges always be passed onto the home buyer? This really depends on the state of the market. In a very hot market where prices are rising rapidly they are often passed on, In a more stable market, where they are known to the developer and land owner they are often passed back to the landowner. That is the land value is reduced as the S94 charges are calculated in the development equation or residual value. In a future article Stewart will explore the risks faced in the development process. Dr. Stewart Lawler is a property development consultant who commenced his career in construction then moved into property development. He also provides training in Feasibility Assessment for Planners and Related Professionals with Professor Peter Phibbs for the NSW Planning and Environment’s PlanEd. References for further reading are available with the online article. Cadman, D. and Byrne, P. 1984 Risk, uncertainty and decision making in property development, Spon, London; New York. Guy & Henneberry, Editors, (2002) Development and Developers, Perspective on Property, Blackwall Sciences, Oxford England. Milligan, V., Phibbs, P., Fagan, K. and Gurran, N. (2004), A practical framework for expanding affordable housing services in Australia: learning from experience: Final Report No.65 (Melbourne: AHURI). Milligan, V., Gurran, N., Lawson, J., Phibbs, P. and Phillips, R. (2009a), Innovation in affordable housing in Australia: Bringing policy and practice for not-for-profit housing organisations together: Final Report No.134 (Melbourne: AHURI). Schuyler, J. 2005 Risk and Decision Analysis in Projects, Project Management Institute, 2nd Edition, USA: Pennsylvania.